Ideally located for both business and pleasure in the local area and within half a mile of the river Hamble. All rooms at the Dormy House are ensuite and include coffee & tea making facilities, remote control televisions, direct dial telephones and hairdriers. There is a comfortable lounge with an honesty bar, a social dining room and a beautiful summer garden for guests to enjoy. 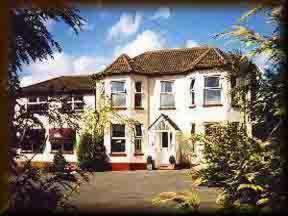 Dormy House is situated in a quiet residential area and set well back from the road, offering ample complimentary parking. We are particularly proud of the level of repeat business from regular travellers.